"Seriously, so good. 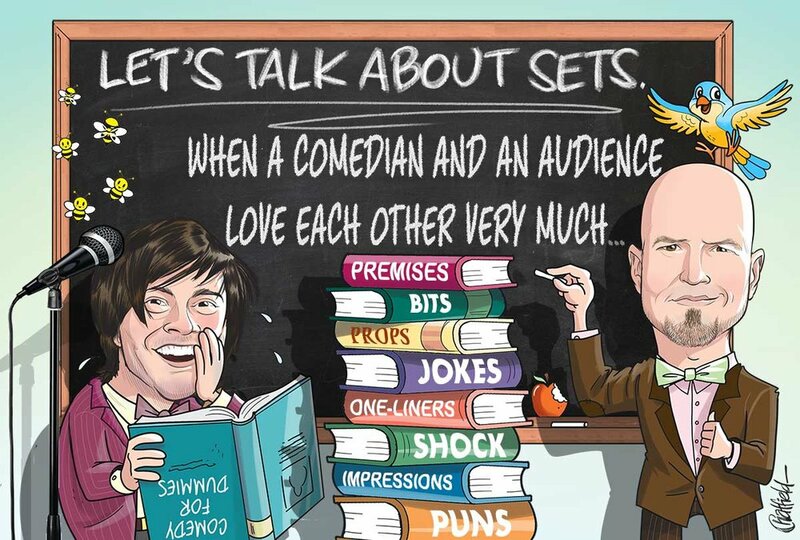 Aside from being super funny, entertaining, etc., this show almost works as a stand-up comedy theory course as well...even if you don't do stand-up and just like it, this is a peak behind the curtain for comedy nerds at any level." "Nothing else like it! You get to hear great comedy bits and the stories behind their inspiration." "Jeff and Harrison have great analytical minds but more importantly great rapport. I've heard many attempts at similar comedy breakdown podcasts by hosts that lacked the charisma, and the shows were so boring. Luckily that's not the case here, and they carry the show no matter the guest. Though don't get me wrong--they have a lot of incredible guest." "The Comic's Table" is a podcast hosted by Tristan Smith and Patrick Holbert and would never be described as punchy (an adjective that should only be ascribed to retired boxers). We go beyond "science" and simple craft discussions that more inferior podcasts focus on, and actually have fun with some of the best comedians in and around NYC. With thousands of weekly downloads and a coveted 6 star rating on iTunez, everyone love this show. "No, really. Seriously, even better. Aside from being even more super funny, orgasmic, etc. this show actually works as stand-up comedy in practice as well... if you love comedy this is a fully open curtain for nerds and jocks at only the very max level." "Other quotes to get you to listen to this."